Cryo has a way of hitting you from three different directions. Usually when we are flaring we only experience one or two of them. But in a big, bad flare it can really hit you hard with all three. 1) Hyperviscosity syndrome: Accumulating cryoglobulins can make your blood a lot thicker if the concentration is high. It can lead to some pretty nasty effects due to circulation being obstructed in the skin, muscles, and various organs, as circulation can rapidly become impaired in the smaller blood vessels. This can cause numerous problems. Hyperviscosity is a particularly onerous problem with type I cryo, but can also happen in types 2, 3, as well as mixed/combined types. 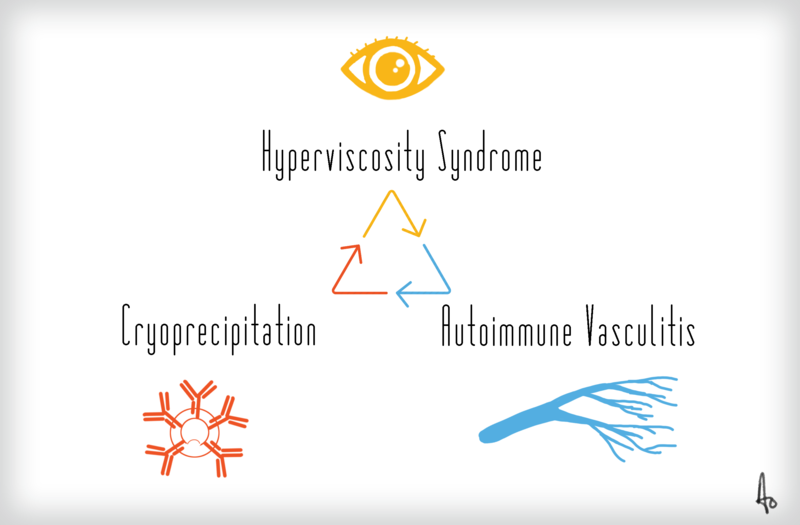 One problem that often occurs with hyperviscosity is damage to the eyes. In particular, the retina and optic nerve. We had a couple of people in this group experience a bad flare with effects on vision likely due to hyperviscosity syndrome last winter. You need to be alert to sudden changes in vision such as blurry vision, flashes of light in your side vision or a sudden increase in “floaters” in your eyes. This is a serious problem that could damage your vision permanently in hours if not treated right away, so be alert. 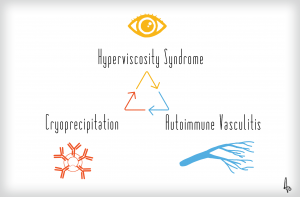 2) Autoimmune Vasculitis: Cryoglobulinemia is a vasculitis affecting small and medium blood vessels. Cryoglobulins are unusual molecules. They are large, heavy, and in the immune system they act as both antibodies and antigen. Once cryo starts, there is a tendency for it to not stop. The immune system processes the cryoglobulins and in the process a lot of inflammatory agents and autoimmune components are released which cause inflammation in small and medium blood vessels, and vasculitis results. 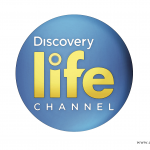 Rashes, skin lesions, skin ulcers, and symptoms similar to rheumatoid arthritis are not uncommon. The process continues, usually until the cryoglobulins are gone or, more commonly, until the immune system is forced into remission and the inflammatory process is halted with medication. 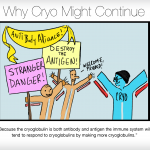 3) Cryoprecipitation: Once the cryoglobulins have been processed by the immune system, the already large molecules tend to link up vis-a-vis a bond facilitated by immune system compliment molecules. Once this happens the cryoglobulins may rapidly begin to precipitate if the skin temperature drops below the core body temperature. This causes even more problems with outright plugging , and vasculitis in medium and small blood vessels. This will continue as long as cryoglobulins are available if the temperature is allowed to remain below the core body temperature. If cryoglobulins are present and you are not actively flaring, it is still possible to have cryoprecipitation.